Posters are a beautiful way to express anything everything that text and images alone can’t do. 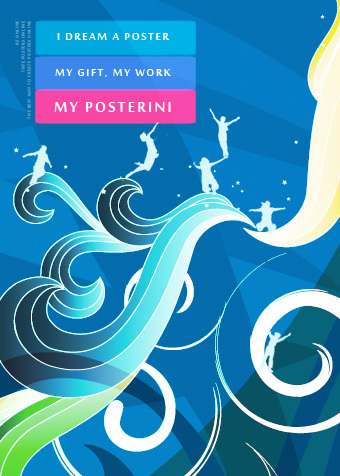 They combine text and images to effectively say your voice and designing an attractive poster can be a tedious task, but thanks to Posterini you task is highly simplified. Just start working by uploading a background picture for your poster and choose other options as you go further. Add your photo, choose a theme and change the text. that literally all what you need to do. You have plenty of designs and themes to choose from and you can add any of them. Along with themes, you may choose to apply a custom filter to to your background image and add edit all the text from the theme and add more text for your image. You can even choose an “Output Magic Theme” which makes your poster publish at a imaginary fun location after you make one. You can now save either a short version of your creation or pay a small amount to download a high definition version. It also provides you an option to share your poster on different social networks.